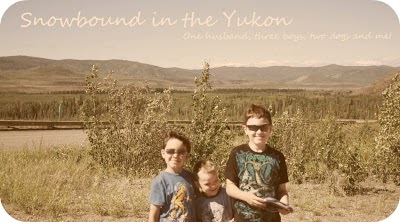 Snowbound in the Yukon: Introducing the newest member of our family! I actually got home last night after an 8 hour drive. I got bumped from the plane after trying to fly on Monday. I did not know and was never told not to travel with an infant under 1 week. I was so blind by the fact that I could get home in an hour I didn't think about it. They re booked me for Friday but then I thought, no way do I want to subject my baby to the loud plane. It was a blessing really. WE drove very slow because it had snowed the night before and the roads were slippery but baby did wonderfully, we stopped for times for feeding and changing.So where to begin. I arrive on last Wednesday in Whitehorse, I had problems getting a taxi to the hotel and ended up waiting almost an hour to get to the hotel which was a 10 minute car ride down the hill. The next day was taxi craziness again, as I tried to get to my two clinic appointments, one I missed and had to do after the first, at least they were at the same clinic. I ended up waiting and waiting for a taxi and ended up calling my auntie to come get me. We went for lunch and then wandered around Walmart for a bit before my pre-op clinic. 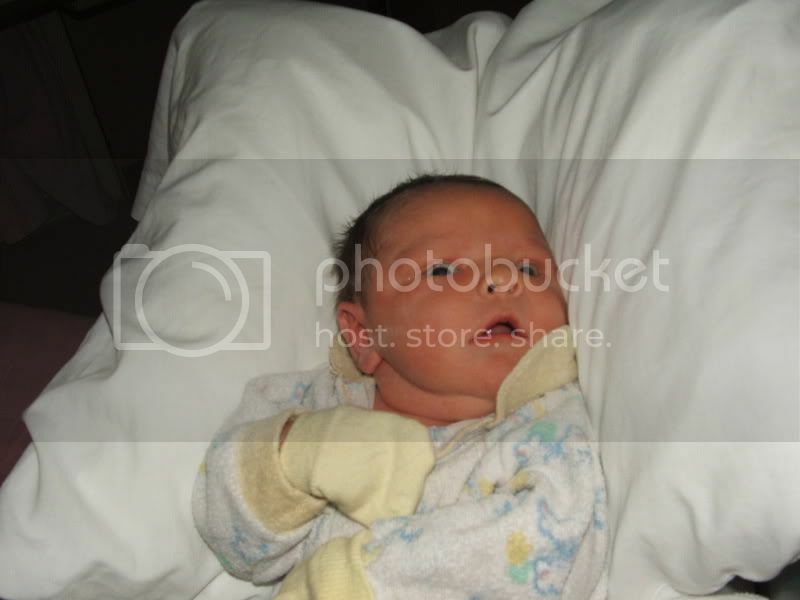 I was pretty uncomfy and kept my fingers crossed that I wouldn't go into labor. My mom came in and we went for Chinese. I didn't sleep too much the two nights I was at the hotel. We went in to the hospital at 6am Friday morning. 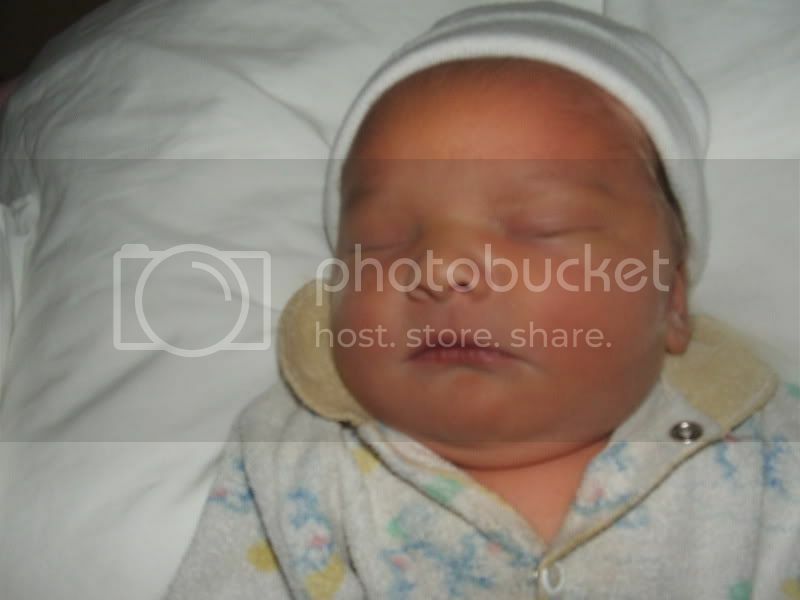 Everything thing went pretty smoothly until I was in the OR.I had a spinal but it came up too far and my blood pressure lowered and I felt panicky and then got sick, the anesthetist, made some adjustments and I felt find.At 8:43, my third son was born. He was perfect and crying and they kept commenting on how big he was. He was 21 3/4 inches long but seemed so small to me. I had my tubes tied at the same time and they wheel me and the baby back up to our room. 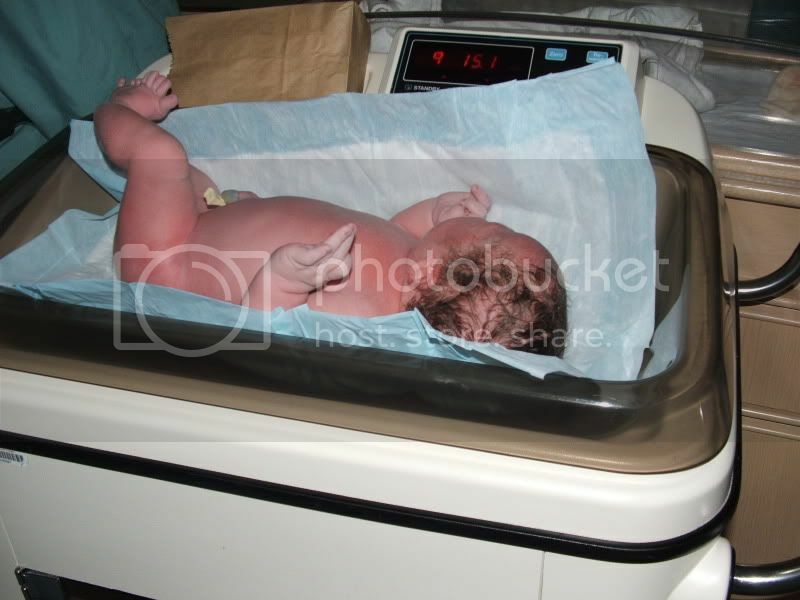 Where they weight him and he was 9lbs 15 oz. So not far behind his oldest brother. He was nursing within 2 hours of being born and hasn't stopped since. He's a very good baby, sleeps and eats. Absolutely hates his diaper being changed. His blood sugars were low and they did monitor that, so he had the heel pokes which are just brutal on my nerves.I had some issues with blood loss but my numbers were up by Sunday. We were discharged but stayed at the hospital until Monday morning. We went to the airport. Where was the problems ensued. (So too much information might follow for some) I got bumped so my mom and I went to Walmart exchanged car seats, it went great. I'd bought a car seat on Thursday but it didn't fit right in the car and other issues I hadn't thought of until after. They let us even though it was on clearance. We paid an 8 dollar difference for the new one and I love it.We stopped at my aunts to feed the baby. I wasn't feeling that hot, sort of tired and out of breath. I used the washroom and passed a significant sized clot and then mom and aunt noticed the baby was a bit jaundiced. So we went back to the emergency room. We were there for about 3 hours but all the numbers came back good again. So we went to hotel that night. Tuesday we left for home and the travel was good but I'm still not feeling all that great. I'm trying to remember if I felt like this the last time, tired and out of breath, sort of a not right feeling. I'm tender in one spot but for the most part my incision site barely hurts. It's been over 12 hours since I'm taken any pain meds. I took my prenatal this morning first time since before the baby was born so maybe that will help. So for the next month I'm too rest and not lift anything heavier than the baby. Hubby will be a big help, same as my brother who helped hubby while we were gone and my mom. We also have the outreach worker from the Canadian Prenatal Program/Healthy Families, Healthy Babies. I"m going back to my doctor today to make sure everything is okay with my heart and lungs because they have me worried. Plus, the numbness in my hands have not gone away completely as I expected. We named the baby SnowBaby. He's just perfect too! His brothers are really taken with him. Little M only showed a little bit of jealousy the first time he saw me nursing Mica but since then has been lovey dovey to him and keeps petting him and smiling. He is such a sweetie pie. Give him a hug from me! I"m so sorry you are going through all of these problems. Please keep us posted. YOu will be in my thoughts! 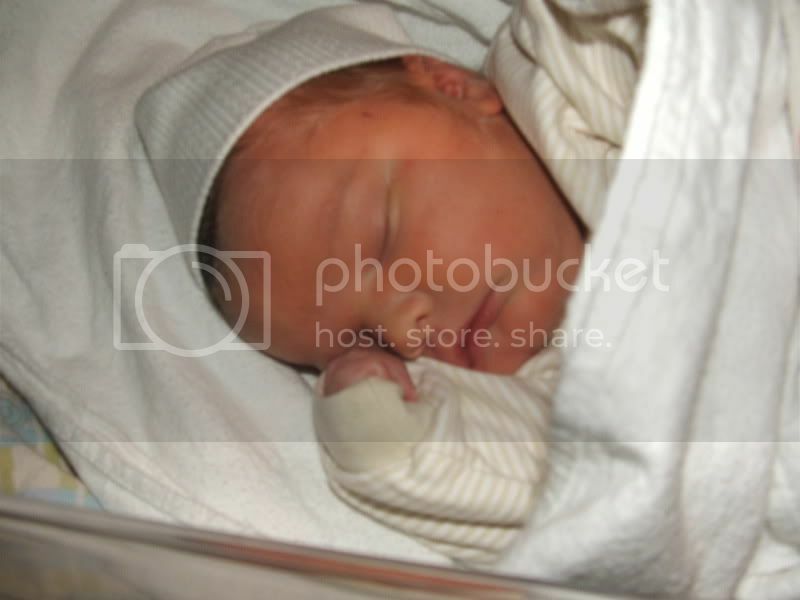 Welcome, Little Mica Danil Charles! He is ever so lovely!! I hope that you are feeling better in the days to come, so you can enjoy your third wonder. Congrats to Daddy and Big Brothers as well! I grew up with only older brothers, and I'm sure Mica will enjoy having people to play with and comfort him as he grows. He's so cute! How exciting! I'm glad to see your home. Let me know if I can help, I will be away for the next couple days but can help after that. Welcome to life on the outside Mica! Awww...look at those baby cheeks! He's a beautiful boy. Congratulations!